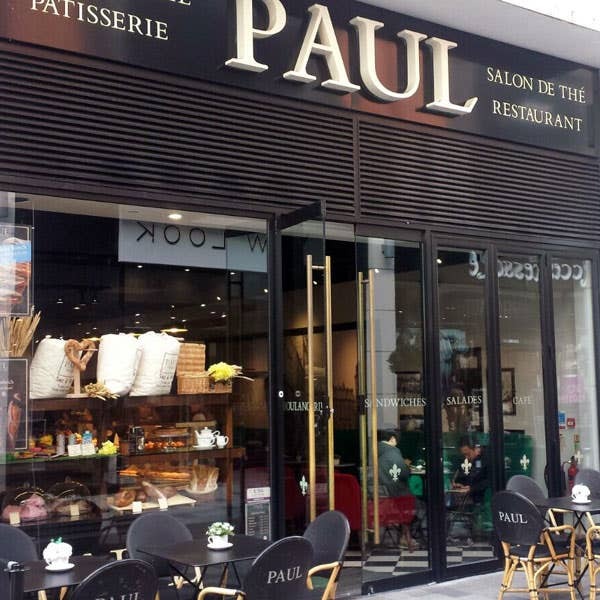 PAUL’s bakery in Newbury is located in the Parkway Shopping Centre with its range of top fashion and lifestyle brands. Alongside our bakery we have a 32-seat café which is a great place to give yourself a break from shopping and enjoy a real taste of France. It’s a very popular spot for our Breakfast and Brunch menu, served until noon daily. Choose from freshly baked bread and patisserie, as well as Eggs Benedict, Royale, Florentine or poached, fried, scrambled or scrambled with smoked salmon. Pop in for lunch or dinner and enjoy a glass or wine or beer with your meal. Local residents as well as visitors to this charming market town on the Kennet and Avon Canal can enjoy our signature hand-made breads, classic viennoiserie, fine patisserie and a wide range of gourmet sandwiches and salads to eat in or take away. Whether you are here for the famous Newbury races, to enjoy the local arts festival, theatrical or musical performances, or live or work locally, we look forward to welcoming you to PAUL. 34 seats are available inside. There is a terrace with a further 12 seats available. Disabled access available. Free Wi-fi.